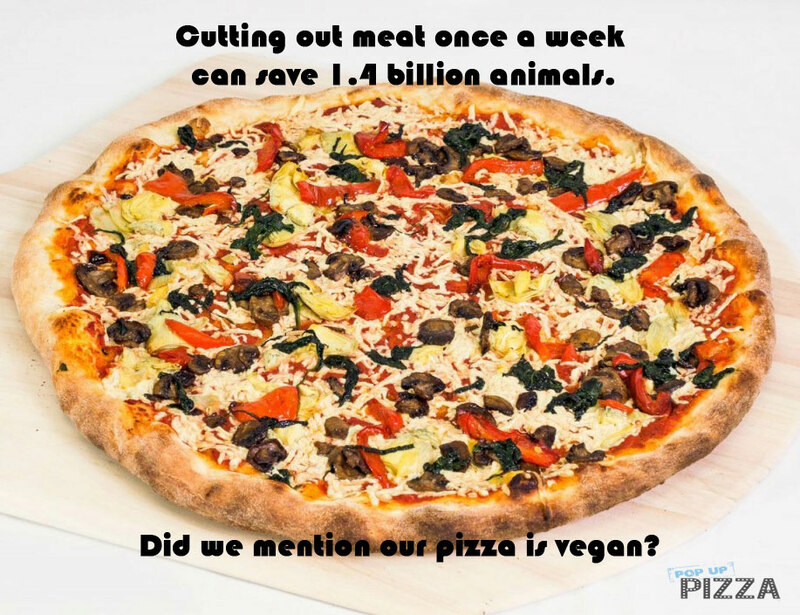 Did you know that cutting out meat from your diet as little as once per week can save 1.4 billion animals per year? In order to do our part to help, we offer gluten free and vegan options, such as The Soho. You can also choose your own veggie toppings and create a custom vegan pizza! You can visit us on Fremont Street or we can deliver to you! Check out our menu and help save the world in the most delicious way possible.